As the title says it is a tag manager tool by Google. You can have this for any website or blog or an app or even for an amp site. First, let us understand what a tag is. Tag in this context is a piece of code from a third party software which we need to place on our website or mobile app so that it can collect some information and send it to the third party tool where we can view that in an organized way. Mostly, these tags we use will be related to marketing, analytics, or retargeting…etc. We generally have tags from Google analytics, Facebook pixel, Adwords tags…etc. We can place the above-mentioned tags directly on the website. But, it is not recommended to have all these multiple tags to load at once. It might affect the performance loading. Also, for many other technical reasons along with maintenance issues. A tag manager is recommended. Let me tell you why we should use a tag manager with an example. Let’s say, we are running an organic food blog where we also sell few products. on which pages visitors have converted. And much more which help us understand the buyer journey and what is working for us and what is not. And few more we will be adding as and when we require. All of the above third party services will give us java script code to place it on our website so that they can pull enough data to give us the flexibility to analyze and do better digital marketing. But placing all these codes will effect the performance of the website. In terms of performance, the speed of loading, and most importantly if you are a non-techie, you might need to work with a programmer to set things in place and each time you need to edit/add or do any changes. Especially, for collecting analytics, which I mentioned in the 1st point above, we need to have coding knowledge to write code to set up events to track deeper analytics. All these hassles will be reduced with tag managers. And out of different tag managers available, Google Tag Manager is the easiest and best solution. And with its free version itself, we can do 99.9% of our work. Now moving into why Google Tag Manager. We all know the performance of Google tools. Hands down, no looking back. Also, it’s free solution will solve the purpose for the majority of us. And it also provides premium services to enterprise accounts. You can compare the versions here. 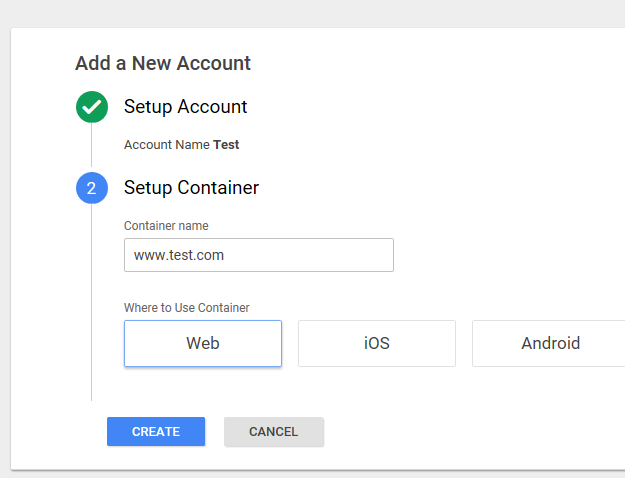 With google tag manager, you only need to place GTM’s container snippet on your website and tell GTM what all tags (that is third party tags) you want to place on your website. Like Google analytics, Facebook pixel…etc. Google tag manager takes care of it by using triggers and variables. These triggers and variables help in controlling how, when and where your tags should fire. That means, through Google Tag Manager, these tags will fire asynchronously. Which reduces the load and increases the performance and speed of the application. Will tell you more on what these triggers and variables are with live examples when needed. Easy to use with its predefined templates as well as makes it easy to build complex customized tags. It is quick. Setting up new tags or editing old ones, testing them, and making it live can be done quickly, most of the times even without the help of developers. It is highly secure and flexible. A non-techie can handle it with ease. No doubt about it. It’s version controls, containers, workspaces, user permissions …etc features will make things easier and not let you do any errors even when a team is working on the same account. Its level of customization flexibility can help you easily track deeper analytics. You need not touch any website code anymore for adding tags or adjusting them. The biggest benefit is, GTM executes tags asynchronously and can be configured to fire tags only when they are needed, helping your pages to load more quickly. 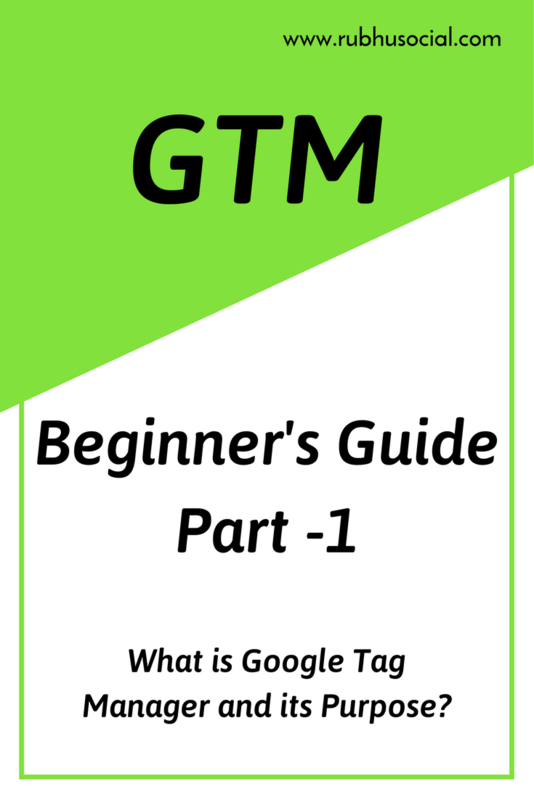 While we look into how to part of GTM, I will also explain you GTM terminology in between. Open Google Tag Manager and click on Tag Manager to sign in. You will be able to sign in with your Google account. It will prompt you to create your account. You need to give your account a name and a container name. Accounts: It is where you give a name to your account. 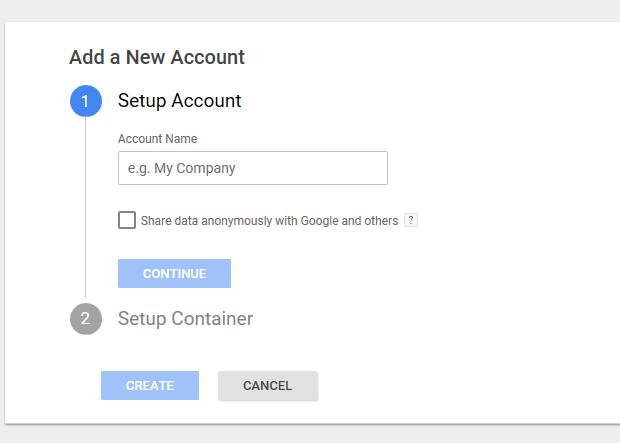 You can create multiple accounts in your tag manager account. Ideally, you will give your business name or your client’s business name here. These accounts will have containers. Container Name: Container name is the name you give to your applications. And choose a container type. (Web, IOS, Android, AMP). Ideally, you will give the same name as your website URL or mobile app name which will help you to identify easily. There can multiple containers in an account. Each container will have a container snippet. 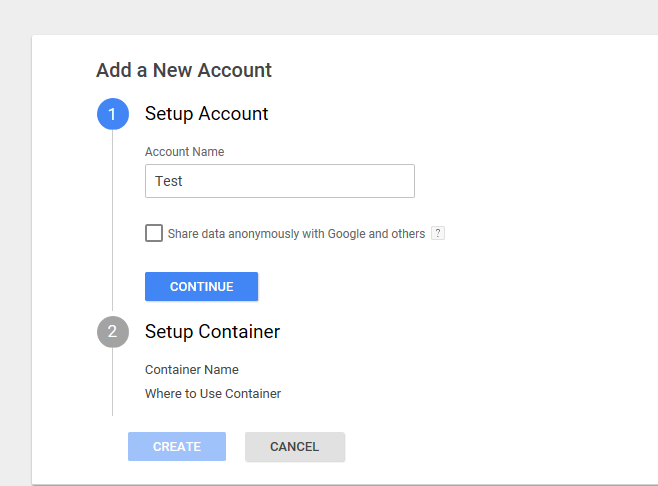 Immediately after the account is created, it takes you to the workspace and the container snippet is given as well. Container ID: Each container will have a unique id. Which is also a part of the snippet code. This is how your workspace looks like. And the marked in green is your container id. Clicking on it anytime you can access your container snippet that is the code you need to place it on your website. With this, you have opened your Google tag manager account and also learned about why GTM. The aim of this blog post is to let you know what is Google Tag Manager and its purpose. Now, as you created your GTM account. I would recommend you to browse through the interface and get a hang of it. It will help you a lot in next part of the this blog series. What are Tags, Triggers, and Variables with examples. And that will be a very long one. Meanwhile, let me know, (that will help me bring you right content. I’ll work on advanced blogs after these beginner’s series). Are you using GTM or have you used it before? If so, what are the challenges you faced? What is that pulling you back from using GTM? Have anything specific you want to know about GTM? Just ask anything about GTM. ???????? If you want to talk to me, You can DM me at any of these three places. Facebook, Twitter, Instagram. Will get back to you ASAP.